Title insurance is a requirement of virtually every lender before it will lend money to buy or refinance a home. The consumer pays for it at closing. Typically your realtor, attorney, lender, or other settlement service provider orders your title search and title insurance on your behalf early in the closing process. Before you purchased your home, it may have gone through several ownership changes, and the land on which it stands probably went through many more. A weak link could emerge to cause trouble at any point in that chain. For example, someone along the way may have forged a signature when transferring a title, or there may be unpaid real estate taxes or other liens. Title insurance covers the insured party for any claims and legal fees that arise out of such problems, subject to the terms and conditions of the policy. There are two general types of title insurance. One is a lender’s policy, issued in the amount of the borrower’s mortgage loan. It protects the lender up to the amount of the outstanding balance of the mortgage if a title claim is made. If you are financing the property with a lender they typically require that you purchase a lender’s policy of title insurance. Lenders also require borrowers to purchase title insurance each time they refinance. The other type of title insurance is an owner’s policy that provides coverage up to the purchase price of the property. An owner’s policy is normally purchased with a lender’s policy as part of a purchase transaction. A Real Estate Attorney, a Title Abstractor or many Real Estate Brokers are qualified to do a title search. It involves researching the deed records of the specific property. During the escrow period of buying a property, a Title Company will be assigned to investigate the history of the property. If you are planning to get a mortgage to purchase the property, the lender will use a title search as a mortgage approval process. They will want to know all pertinent information, especially proof that the property is owned free and clear and that any existing liens or mortgages are being paid off at the time of closing. A mortgage lender will require title insurance on said property as a conformation of the title search records. A title search will reveal if the land is fee simple or leasehold. It will expose any outstanding easements, judgments, liens, mortgages, taxes or any outstanding claims. Soil, survey and water conservation as well as covenants from associations may also be included in this report. Even if a mortgage lender is not involved, one of the most significant results of a title search is to discover if there are any outstanding mortgages or liens on the property. Otherwise, you could purchase a property at a seemingly good price, only to discover the property has a first mortgage in place that you have inherited in the deal. Another possibility is that there are back taxes due on the property that need to be resolved before a transfer of title is completed. There could be easements restricting your usage of part or the whole of the property. A title search will disclose all variances that could affect your investment. An Abstract or Abstract of Title researches back to the original owner of the property and follows a detailed lineage to the present. It will disclose ownership in succession, conveyances, details of mortgages, surveys of the boundaries of the property and legal description, any code violations and compliances. 1. The names of the grantor and grantees to include addresses of parties. Are they spelled correctly? Is the grantor’s name spelled the same in the prepared deed as it was in the deed granting the property to him? A male grantor’s marital status must be disclosed on the deed; if married, his wife must sign off the property, even if her name is not listed as a grantor. 2. The description of the property should be checked against the description in the deed granting the property to the seller. This description should not be copied slavishly; if there are errors, they should be corrected. The correct Block and Lot should be listed. 3. If either the grantor or the grantee is a corporation, the corporate name must be exactly as written in the charter; the state of incorporation and the location of its principal place of business should be shown. 4. The corporate deed should show the authority (i.e. an authorized officer) under which the conveyance is made. 5. Restrictive covenants. Are they properly drafted? 6. Exceptions and reservations. Do the provisions in the deed correspond to the provisions in the contract? 7. Mortgage. If the property is mortgaged or a purchase-money mortgage is to be given, is the mortgage correctly described? Does the buyer take subject to the mortgage, or does he take subject to the mortgage and assume and agree to pay the mortgage debt? 8. Liens and encumbrances. Are there any liens or encumbrances excepted in the deed, which are not provided for in the contract to sell? 9. Homestead and dower rights. Are the necessary waivers in the deed? 10. Obligations, which are to be fulfilled after closing, should be stated in the deed. 11. Type of deed. Is the prepared deed the type of deed stipulated in the contract of the sale? 12. Closing deed must recite “Being and intended to be” the same premises conveyed to the party of the first part by deed in (Reel & Page or CRFN number). RPTT is imposed on grants, assignments, transfers, or surrenders of real property in New York City. This includes the sale or transfer of at least a 50 percent ownership interest in a corporation, partnership, trust, or other entity that owns or leases real property; initial transfers of shares of stock in cooperative housing by the sponsor; and subsequent transfers of co-op stock. RPTT applies whenever the consideration for the sale or transfer exceeds $25,000. The NYC-RPT packet includes the complete transfer tax return and instructions, registration forms for receiving real estate tax, water, and sewer bills, and a smoke detector affidavit of compliance. Cooperative Transfer Summary returns are separate. For property located in Manhattan (NY County), Bronx, Brooklyn (Kings County), or Queens the packet of RPTT forms must be created on ACRIS, the Automated City Register Information System. The paper RPTT forms are only to be used when the property is located in Staten Island (Richmond County). ACRIS will pre-populate many of the repetitive fields in the NYC-RPT package, and also will ensure that all required forms and fields are completed. Taxpayers must pay within thirty days after the transfer and file the RPTT return at the time of payment of the tax. Even if the transfer is not subject to tax, or the tax is zero, the return must still be filed within thirty days after the transfer. Absolute Title considers itself to be an extension to its client’s internal process; a post closing department. 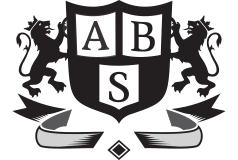 Officially, Absolute Title is an administrator assisting our clients to accomplish the final task to record a closed file. Listed below, is a broad brush overview of standard services provided. Absolute Title will customize its procedures ensuring that the client’s expectations are not only met but exceeded. Recording in every local, county and state jurisdiction. On-line order tracking, recording information, document images and on demand reporting. A lien is the legal claim of one person upon the property of another for the payment of a debt or the satisfaction of an obligation. In practical terms, it is a way for a creditor to secure a debt by having the legal means to force the liquidation of that asset, if necessary, to obtain the money. Two of the most common types of liens are the mechanic’s lien and the judgment lien. The mechanic’s lien is used to secure a contractor’s position. Since a contractor is likely to have put a significant amount of time, money and material into a project, the law permits him to immediately file a mechanic’s lien in the event of nonpayment. To get such a lien, the contractor simply files the necessary papers with the public property records. But the homeowner must be notified that the lien has been filed and a court must be petitioned before any enforcement action may be taken. The mechanic’s lien automatically expires if no enforcement action is taken within a set period (one year in New York and Connecticut). The judgment lien is a way for a creditor to stake a claim through the courts on the value of a home for the satisfaction of any other sort of unpaid personal or business debt. In this case, the owner may have been threatened for months with legal action. One day the homeowner will very likely be served with a “summons and complaint” notice by a process server. It informs him that the creditor is petitioning a court for action that could result in a judgment lien. Granting of the judgment lien is confirmation by the court that the debt exists and the claim is legitimate. The summons normally allows the defendant about 20 days to answer. If no reply is received, then the creditor can request a default judgment permitting the lien to be placed on the public record of the property. Allowing a lien to remain on the property may mean that the owner avoids having to pay up until the property is sold. However, lawyers caution that this can backfire. Waiting means that interest is accumulating on the debt, as with any other outstanding loan. Having that lien sit there also makes it difficult to refinance, they warn, because banks are generally unwilling to grant another mortgage or loan on a property that is encumbered with a lien. Waiting to pay off can also complicate a sale because the buyer will generally insist that the lien is cleared before agreeing to take title. The buyer needs to do this so that the property can no longer be held liable for the debt. The buyer will also soon discover that his bank is unwilling to grant a mortgage unless the lien has been satisfied. If the seller cannot pay off the debt, lawyers for all the parties involved – the buyer, the seller and the bank – can agree to have the proceeds from the sale handled through an escrow account. This insures that all the liens will be paid off before any money passes between buyer and seller. But this can only be done if the value of the liens can be covered by the sale. Condominiums are considered real property like single-family houses for the purpose of a lien. But residents of co-op apartments generally face a slightly different situation. In a New York City co-op, for instance, the judgment would be filed against the shares held individually by the tenant-shareholder. We search and document the last owner and deed-chain covering 2 years or when they encountered the last good deed of record, whichever comes first. We report on all open mortgages and Liens against the property and against any names searched. Copies are provided upon request. For more than a century, home buyers have been able to buy title insurance, which provides buyers — and their lenders — coverage for up to the full purchase price of a home in the event someone else establishes a valid claim against the property. Since co-op shareholders do not take “title” to their apartment — but instead, own the shares and proprietary lease associated with their apartments — traditional title insurance would not cover the shareholder’s ownership interest in the shares. As a result, in the early 1990s, the Title Insurance Rate Service Association (or Tirsa) created an endorsement to the standard title insurance policy that would cover co-ops. The Tirsa endorsement is known in the industry as “leasehold title insurance.” Basically, the leasehold endorsement insures the shareholder’s interest created by the proprietary lease. The co-op corporation typically has a standard title policy on the building. In addition the Tirsa endorsement provides shareholders with protection in the event that the lien search conducted before the closing failed to uncover a valid existing lien against the seller of the apartment. And while title abstract companies are usually good at identifying such liens, there is one type of lien that affects co-ops that might be difficult to identify. Federal tax liens create a lien on real estate only if they are filed where the real estate is located. So if a tax lien is filed against a person in New Jersey, the lien will not affect real estate owned by the taxpayer in New York unless a lien is filed there as well. But shares in a co-op are considered personal property, and a federal tax lien filed anywhere the taxpayer has a residence creates a lien on the taxpayer’s personal property wherever it is located. Thus, the standard search for liens in New York might easily miss a tax lien filed elsewhere. The policy insures for loss and legal expenses resulting from, among other things, claims made by creditors with claims against previous owners of the shares, claims that occur if a co-op is transferred when the seller is in bankruptcy, and claims from an heir or beneficiary of a deceased seller. Exhibit 1-2 – Certification Pursuant to zoning lot subdivision of the zoning resolution. Declaration of zoning lot restrictions. Exhibit 3, 4, 5 – Zoning lot description and ownership statement by building department permit applicant and to be recorded in the County Clerks or Register’s Office. Surveying or land surveying is the technique and science of accurately determining the terrestrial or three-dimensional space position of points and the distances and angles between them. These points are usually on the surface of the Earth, and are often used to establish land maps and boundaries for ownership or governmental purposes. Furthermore, as alluded to above, a particular type of surveying known as “land surveying” is the detailed study or inspection, as by gathering information through observations, measurements in the field, questionnaires, or research of legal instruments, and data analysis in the support of planning, designing, and establishing of property boundaries. It involves the re-establishment of cadastral surveys and land boundaries based on documents of record and historical evidence, as well as certifying surveys, as required by statute or local ordinance, of subdivision plats/maps, registered land surveys, judicial surveys, and space delineation. Land surveying can include associated services such as mapping and related data accumulation, construction layout surveys, precision measurements of length, angle, elevation, area, and volume, as well as horizontal and vertical control surveys, and the analysis and utilization of land survey data. ALTA/ACSM Survey: a surveying standard jointly proposed by the American Land Title Association and the American Congress on Surveying and Mapping that incorporates elements of the boundary survey, mortgage survey, and topographic survey. As-Built survey: a survey carried out during or immediately following a construction project for record, completion evaluation and payment purposes. Mortgage survey or physical survey: a simple survey that delineates land boundaries and building locations. In many places a mortgage survey is required by lending institutions as a precondition for a mortgage loan. New York State is one of the only states to impose a mortgage tax. It requires that a tax be paid on any new mortgage that is recorded within the state’s boundaries. As a general rule, New York State mortgage tax within the 5 boroughs of New York City range between 1.8% and 2.8% depending on the type of property mortgaged. New York tax law permits a mortgagor to avoid a second payment of mortgage tax through an assignment of an existing mortgage. This law is typically used in refinance transactions where a homeowner is taking out a new mortgage. In order to assign the mortgage tax a homeowner must obtain a consolidation, extension and modification of the original mortgage. A consolidation, extension and modification is achieved by contacting the existing lender and “exchanging” the original note and mortgage for the new note and mortgage. As long as both the existing lender and the new lender agree to the assignment, the homeowner can avoid the second payment of mortgage tax. The homeowner is, however, responsible to pay mortgage tax on any amount above the existing lien on the property or the “new money”. This procedure is widely accepted by lenders. List of Major Lenders who participate in a Purchase CEMA: Bank of America, Citibank, Chase,Wells Fargo, Countrywide, HSBC, First Franklin, American Broker Conduit, Emigrant and others. Above chart reflects the amounts applicable in five boroughs of NYC only. If the mortgage exceed $500K, higher mortgage tax rate will apply. Escrow is best known in the United States in the context of real estate, specifically in mortgages where the mortgage company establishes an escrow account to pay property tax and insurance during the term of the mortgage. Escrow companies are also commonly used in the transfer of high value personal and business. Escrow account – is an account established for the purpose of holding funds on behalf of the principal or some other person until the consummation or termination of a transaction. Also known as a trust account held in the borrower’s name to pay obligations such as property taxes and insurance premiums.